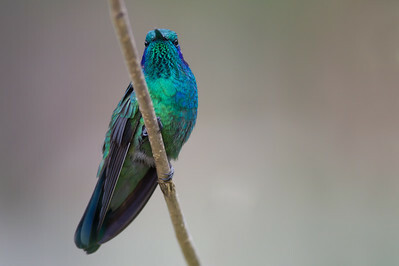 This species used to be called the "Green Violetear" until 2016 when it was split into two species - the Lesser Violetear (these photos) and the "Mexican Violetear". 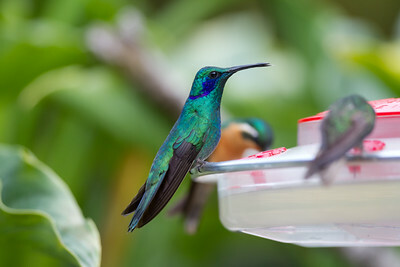 The two species are allopatric (no range overlap). 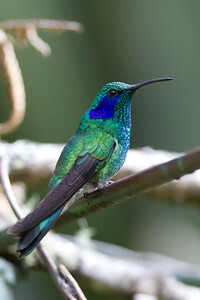 Lesser Violetear, the only species we have seen, ranges from Costa Rican highlands down to Panama and then further south from Colombia to Bolivia. 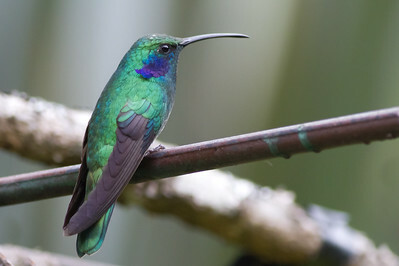 The Lesser Violatear is smaller (hence Lesser in the name) and shows "green" breast coloration. 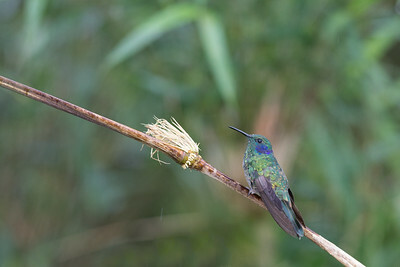 The scientific name for the Lesser Violetear is Colibri cyanotus. 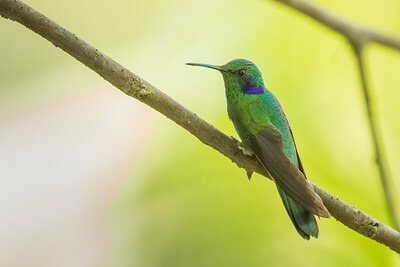 The Mexican Violetear ranges from Mexico to Nicaragua. 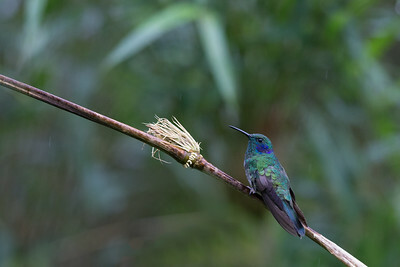 The Nicaraguan depression divides the species. 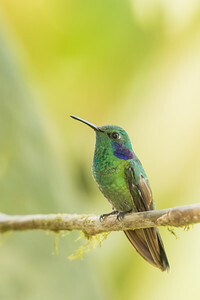 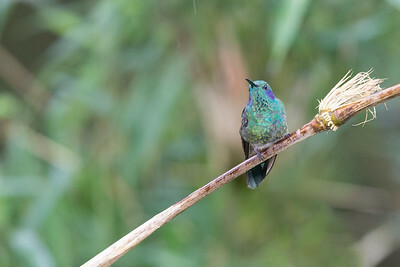 This species is slightly larger than the Lesser Violetear and has violet-bluish breast coloration which is absent in the Lesser Violetear. 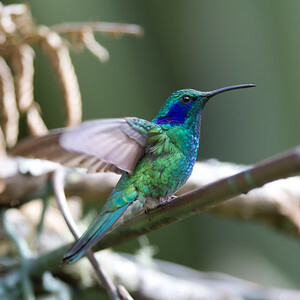 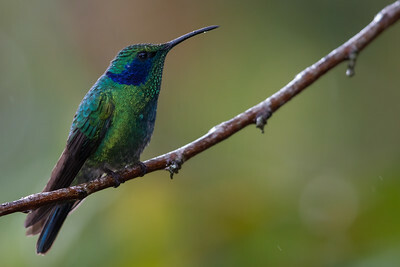 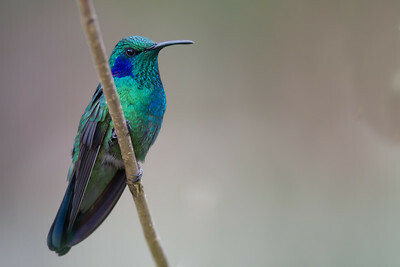 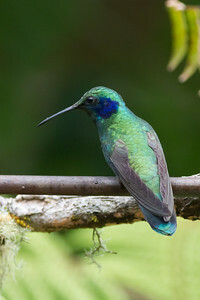 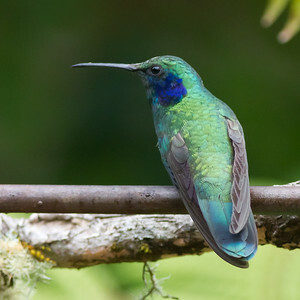 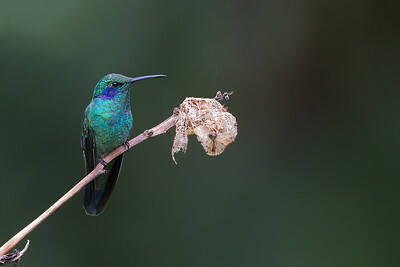 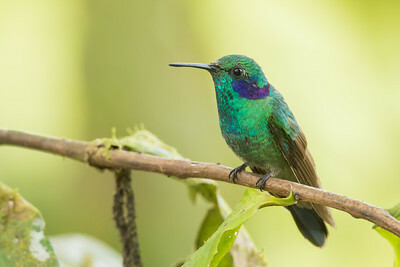 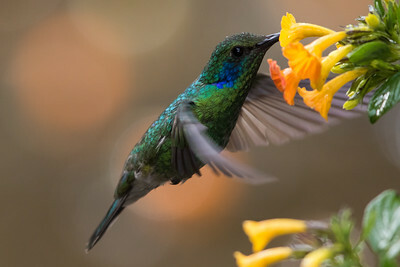 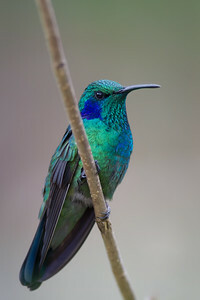 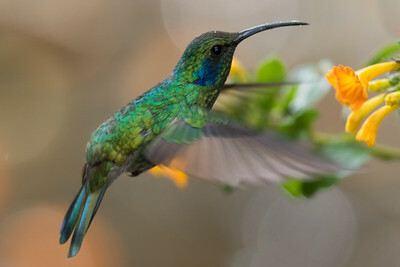 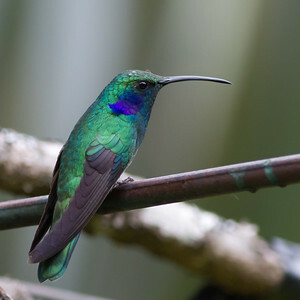 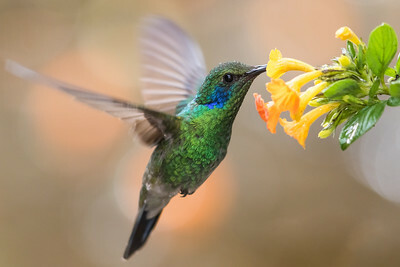 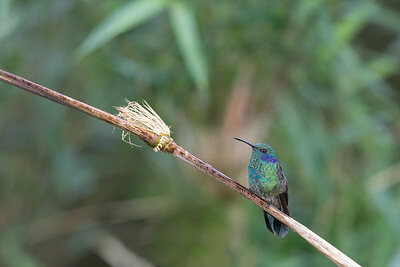 The scientific name for the Mexican Violetear is Colibri thalassinus (same as that of the erstwhile Green Violetear).